�� Pink Floral Guitar Templates for Powerpoint Presentations - Free Pink Floral Guitar Theme for Powerpoint presentations,. 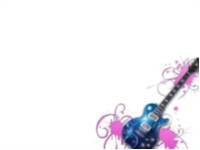 Pink Floral Guitar Powerpoint Templates Freeppt is Powerpoint backgrounds and templates for your slide. Do you want free powerpoint templates? the right place. Because freeppt site offers you the highest quality of various backgrounds and templates. Category you want to view and templates that you want to be able to download the presentation as appropriate to your project.